Stunning 4 Bedroom Home nestled in the heart of Award Winning Connerton. Enchanting curb appeal with manicured landscaping and a large covered front porch perfect for relaxing in rocking chairs and impromptu chats with neighbors on their way to the nearby park. This ingenious design features an amazing kitchen at the center of an open concept great room, a downstairs owners retreat and a large covered Lanai. Gorgeous 42 inch Espresso finish wood cabinets and glistening granite countertops adorn the magnificent kitchen, which features a huge island bar, stainless steel appliances, custom lighting, walk-in pantry and a cozy dining nook which bridges into a spacious and bright living room. Sliders lead out to wonderful outdoor living with covered lanai and a beautiful lawn and fully fenced back yard. A flex room can be used as an office or perfect for a formal dining or living room. The Owners Retreat is an oasis of tranquility with a cozy reading nook, walk-in closet and a luxurious ensuite complete with granite covered dual vanities, separate shower, tub and water closet. The upstairs is home to 3 large bedrooms and a lovely full bath. Downstairs half bath for guests. 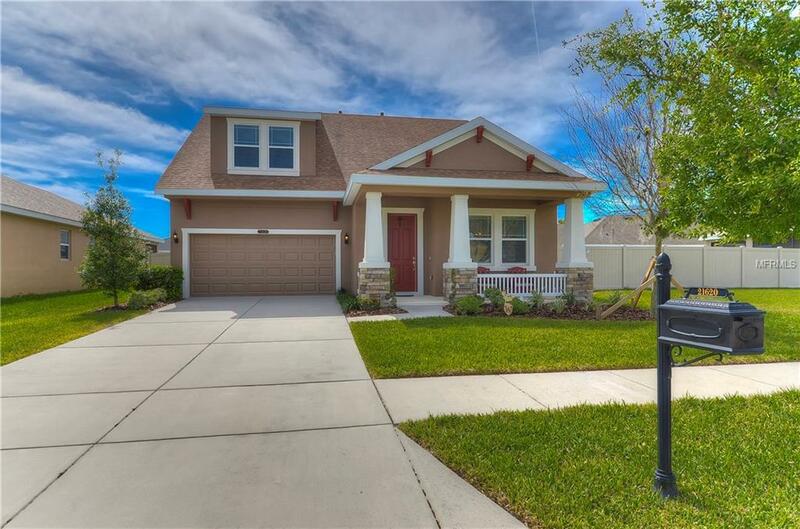 Excellent Land OLakes Schools including Charter and Magnet Schools. Land O'Lakes High offers the highly esteemed International Bachelorette program. Enjoy Connerton Amenities, amazing playgrounds, sports courts, fantastic water-park, recreation center with gym and caf, biking trails, dog park and so much more.